Home Amazing world What is inside a Pyramid? 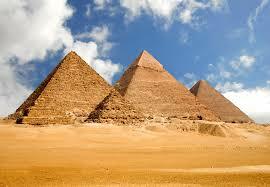 Pyramids are the largest structures on earth. 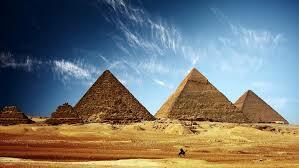 When we think about Egypt the only think that comes into our mind are the Pyramids. 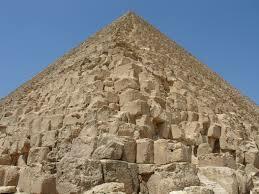 A Pyramid outer surface is triangular in shape and its bottom can be trilateral, quadrilateral or polygon shape. The greatest thing of pyramids is that how humans with no technology or man power can built such a largest structure on earth that can last for thousands of years. Till date scientists are not able to find out how pyramids are constructed. It’s still a mystery till date what exactly present inside a pyramid. In1922, Archeologist named Carter had stumbled on the exquisitely preserved tomb of Egyptian pharaoh Tutankhamun. He discovered King Tut’s treasures that has become a worldwide sensation. 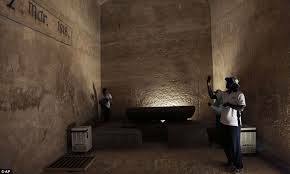 It’s not only the King was buried inside the chamber of pyramid but a lot of servants with great amount of food and water was present inside those chambers. Scientists still really don’t know much about the pyramid’s interiors. Ben Carson, a US Presidential Candidate, has done a research on pyramid, in his final document he has mentioned that pyramids are built for storing grains. This theory results on only few chambers that he visited they are lot more chambers that are not accessible to any human till date and no one has no idea what exactly present behind those chambers. CyArk, a non-profit organization recently began to digitally preserve over 500 world heritage sites. They have started their work from the Brandenburg Gate to the Ziggurat in Iraq using non-invasive lasers. The current technology will capture 3D images without the need to lay a finger on them. A technology that provides a lot of information without touching a product. If we talk about the Great Pyramid itself, in Giza. It’s a huge structure, built more than 3,000 years ago with more than two million blocks of stone, this Great Pyramid is the biggest ancient pyramid in the world. It stands at 139m that means 450ft tall, though it would have been slightly taller when first constructed. Only few chambers are accessible inside it, such as the great gallery and the king’s and queen’s chambers. International team of architects and scientists used the latest infrared thermography to detect unexpected temperature differences in the stones of the Great Pyramid. This in turn has raised more questions than answers. Warmer temperatures on certain stones detected this could be an indication of tunnels where airflow is present. However, there’s no easy way of knowing the scientists involved in the research of pyramid are under strict orders not to make invasive excavations. 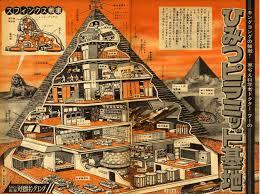 Scanning and Sensor technologies are the main tools for pyramid investigators in years to come. Infrared analysis done from satellite has even helped locate buried pyramids. Next articleThe Way We Treat Others Is A Reflection Of How We Treat Our Own selves!